Who could be the next 007? Elba — Idris Elba. Longtime James Bond franchise producer Barbara Broccoli spoke with filmmaker Antoine Fuqua, and the two concluded that "it is time" for a non-white actor to play James Bond after Daniel Craig makes his final turn as the suave British spy in Bond 25. The news comes by way of The Daily Star, which reportedly caught Fuqua's comments about his conversation with Broccoli at the launch of his new app SoundFi, which supposedly provides "3D sound for movies" delivered through viewers' headphones. When the pair discussed who might take the baton from Craig, Broccoli allegedly stated that she's sure an actor of color becoming Bond is something that "will happen eventually" and Elba's name later came up as an apparent frontrunner. "Idris could do it if he was in shape," explained Fuqua. "You need a guy with physically strong presence. Idris has that." Before anyone starts planning a James Bond movie marathon, popping champagne and setting off celebratory fireworks, or changing their social media display icons to a photo of the impossibly handsome Elba (c'mon, we know someone had to be tempted), let's take a step back and analyze this information. For starters, it seems a little odd that Fuqua is involved in this conversation, or that he discussed it at his new app's launch event. Sure, he's a high-ranking fixture of Hollywood — he's the director behind Olympus Has Fallen, The Equalizer, The Equalizer 2, Southpaw, The Magnificent Seven, the Academy Award-winning Training Day, and many others – but he hasn't been involved with a Bond film in any capacity thus far. There's also the fact that neither Broccoli or Fuqua explicitly stated that Elba will 100-percent, without a shadow of a doubt play James Bond in the future. It seems evident that there's a hope to see the actor as 007 and lead the film franchise in the post-Craig-as-Bond era, but there's no guarantee. "Idris Elba is one of the finest men on the planet. He would not be lucky to play Bond, the studio would be lucky to have him do it," wrote The Trevor Project's Calvin Stowell. Twitter user @wordtoJude felt this news was a long time coming — "IVE BEEN ASKING FOR THIS FOR YEARS. LETS GO." — while television and film producer Robert Schooley tweeted that Elba is a natural choice for Bond: "Of course Idris Elba should be James Bond, do we even need to pretend there's a question here?" Elba's name was first linked to (on a major scale, at least) the Bond movie series back in 2014, when hackers got their hands on thousands of emails from Sony Pictures executives. 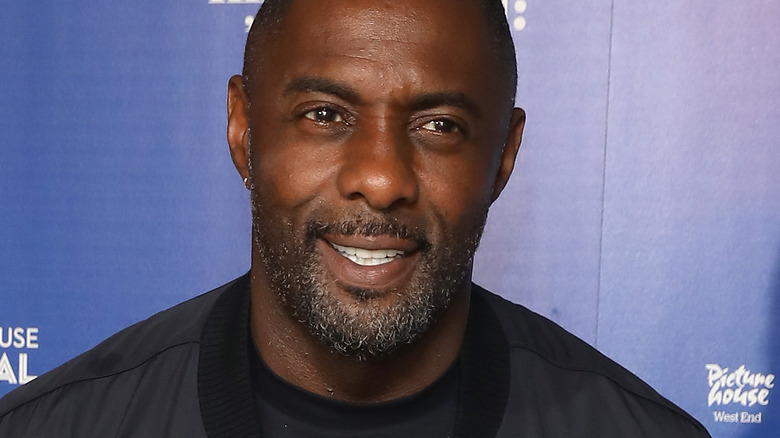 In one leaked email, Amy Pascal, who was the co-chairperson of Sony Pictures Entertainment at the time, told former Columbia Pictures vice president Elizabeth Cantillon that "Idris should be the next Bond." In 2016, director Steven Spielberg told Express UK that he "would love to see a Bond of color," and that "Idris would be [his] first choice of Bond" to take over after Craig takes off his tux, sets down his briefcase, and hands in his various guns and gadgets. The year prior, just ahead of when Sam Mendes released the 24th Bond film Spectre in November of 2015, Vulture cut together an insanely cool trailer that imagined Elba as a modern, take-no-prisoners Bond. However, Elba once insisted that no one is genuinely considering him to play 007. At the time, the actor said he felt people who want a Bond of color throw his name around because he's black — but not because they think he's necessarily a good fit for the super spy. "I think it's more about, we just want to have a black guy play James Bond rather than Idris Elba the actor play James Bond. That's the part that I'm like, 'Ugh, come on,'" Elba previously told The Independent. He later lodged the idea of having a female Bond rather than another male. "Could be a woman, could be a black woman, could be a white woman, but I think, that character, everybody would like to see it have — do something different with it, why not?" Elba said when speaking with Variety. While the rest of the world is shaken and stirred over the notion of Elba playing Bond, it looks like he isn't fussed one way or another.